Here’s a jazzed up burger… one that has a bunch of flavor and isn’t your run-of-the-mill frozen disc that you throw on the grill with a hunk of cheese. 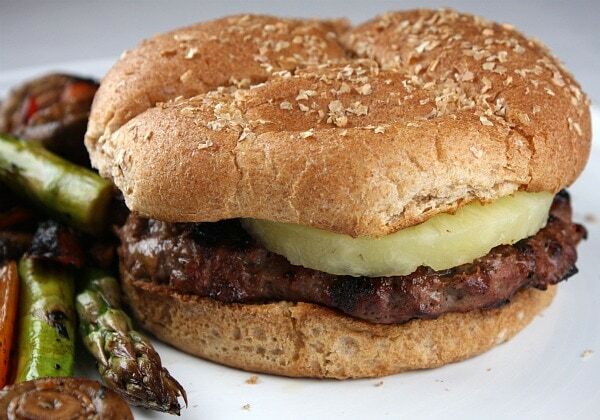 You’ve gotta like pineapple to enjoy this one: Grilled Teriyaki Burgers with Pineapple. 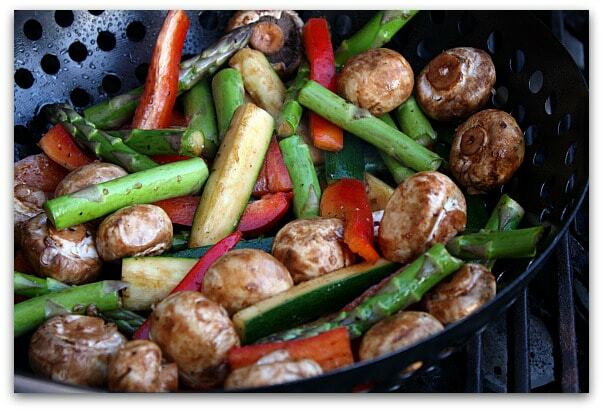 I like to throw some veggies on the grill too… my absolute favorite thing to grill. I toss ’em with a little bit of olive oil, salt & pepper and a splash of balsamic vinegar. They work best in one of these little baskets or holy pans that are made especially for grilling. I adorn my teriyaki burgers with a slice of pineapple (if you have access to fresh, that is best) and just a splash of some sort of steak sauce. That’s all they need. I love the idea of giving the all American Burger a Japanese twist. Ialso think that this will be a great way to get my toddler to try some flavors that he doesn’t normally like. 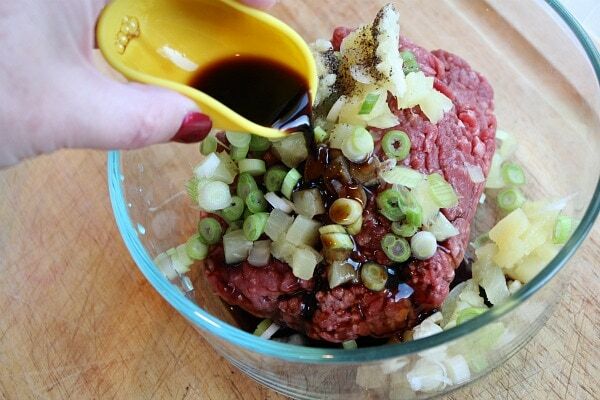 He loves burgers so the soy sauce, ginger and garlic might just sail right into his mouth. Thank you! I can’t wait to try these for Labor Day weekend. My brother is coming into town from Arizona and he loves fruity things like this. I bet the flavors mix perfectly. THanks for the ideas! Kudos. Lori – I used fresh pineapple – should I have squeezed the liquid out of it? I just diced it and didn’t attempt to drain any liquid out. The burgers smelled wonderful, I really would like to try them again. I’ve tried three other recipes from the site and we loved them. The Grilled Watermelon Salad, Baked Mushroom Rice, and the Grilled Vegetables featured with the burgers. Great website! Help! 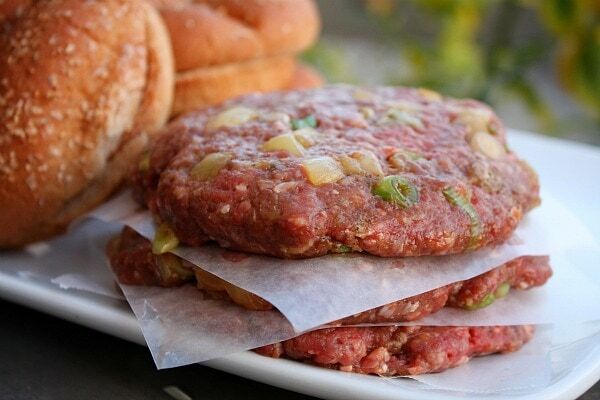 These burgers looked awesome so my husband and I gave them a try…they were very hard to form because the meat was too soft once the soy sauce and pineapple were added. We tried to grill them (we thought the extra liquid would cook off) They were all mush and we weren’t able to flip them! The mushiness of the meat was unappetizing! I’m willing to try them again…any suggestions? 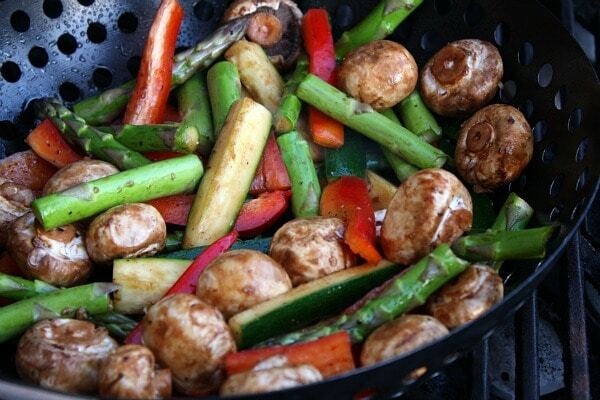 Veggies were great!!! 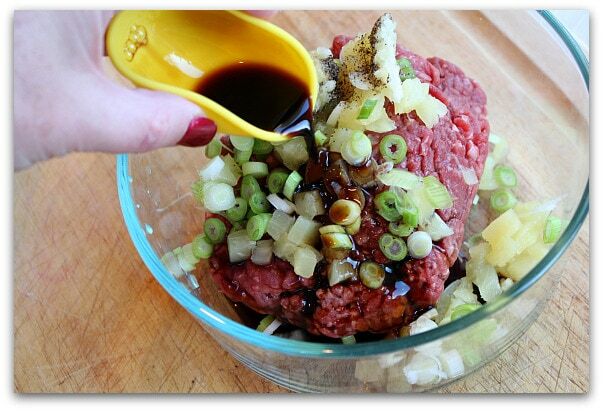 We wondered about getting a leaner cut of meat and possibly adding less soy sauce…did anyone else have any problems? 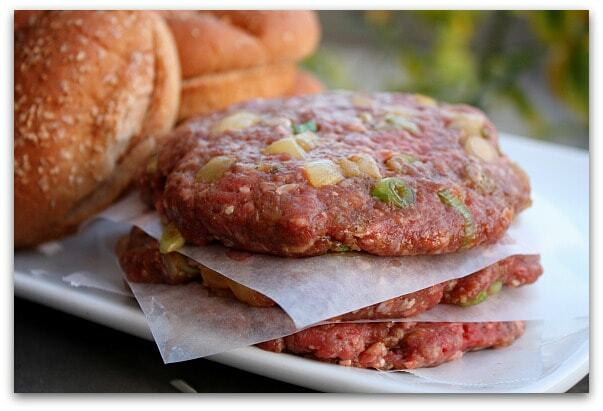 What tasty burgers – they look amazing! 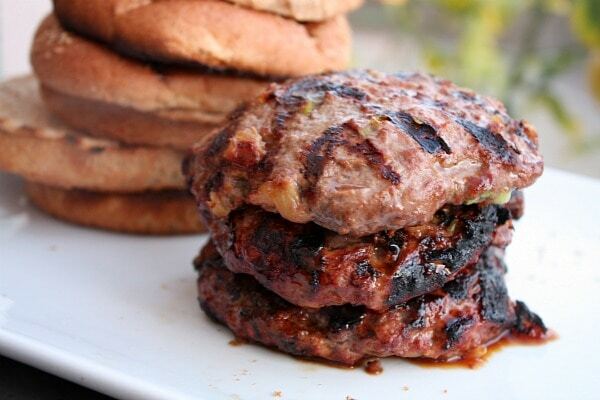 Oh Lori grilled burgers with pineapple is too much for this hour, so farrrrr to dinner –drooling with the pictures!! Wow! Sounds & looks delicious!! Will be trying this for sure!!! Oh my. I wish I was eating at your house! I don’t have a grill, but I’ll be making these soon anyway! Yum! Teriyaki is a favorite flavor in our house. These burgers sound delicious. I don’t normally like burgers but those do look really good. Thanks for sharing! This sounds absolutely fantastic, I especially like the pineapple chunks in the burgers, I really would love to try that.